In September 2014, Canadian filmmaker Niobe Thompson worked with Bedouin Directions to shoot sequences for the three-part series The Great Human Odyssey. This blue-chip documentary explores the human journey out of Africa, and was filmed in 17 countries across 5 continents over the course of two years. It will broadcast around the world in 2015 and 2016, including on Canada’s CBC, PBS NOVA in the USA and Servus in Germany and Austria. A travelling and blogging couple who have visited us recently in 2016. Their post on Wadi Rum includes some beautiful pictures and some great action shots including my favorite picture where they capture some Bedouin games in full swing.. who needs the internet? Their whole blog is lovely and includes a lot of interesting destinations and wonderful pictures. A nice blog post from a recent guest in 2016 on her time in Wadi Rum with us. A nice blog with a humorous overtone to her writing, and some really great photography. Well worth a read. 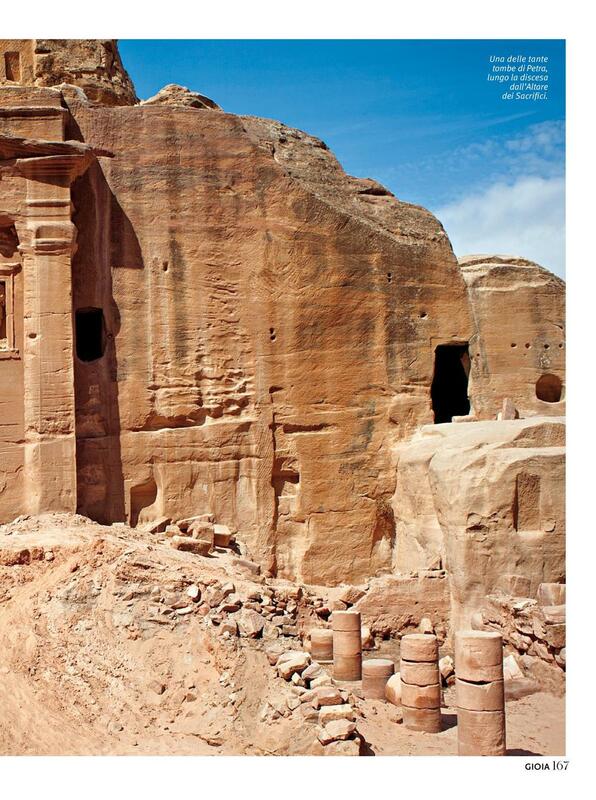 A travel website for Czech and Slovak travellers, offering special vacation packages in Jordan and around the world. They visited us recently when researching Jordan, and have featured Bedouin Directions in their blog. A fun and adventurous families blog about their experiences. A great read and it was lovely to meet them all in 2014! Read their post about Wadi Rum here. Cate and Will visited us at the end of 2012. It is always a privilege to meet such interesting and easy going people. Read Cate's fascinating blog about her travels 'The Life Nomadic' and of course her post on Wadi Rum and her visit to Bedouin Directions. Aline is writing an interesting and fun blog (in French and English) about her travels in the Middle East, writing about entrepreneurism and other interesting topics like 'tradition and modernity'. I thoroughly recommend reading her blog and checking out her post on Wadi Rum. The Ferrer family took a year out of school and travelled around the world hiking some pretty challenging trails in a list of countries to envy. Their adventures are described in their blog. An inspiring and fun read. They spent 5 days hiking in Wadi Rum, with a Camel friend for company, and to ride. Their post Desert Days describes their hike with Bedouin Directions. Our Russian blogger had a flying visit for just one day in 2013. This visit coincided with one of the biggest rain storms we have had in Wadi Rum in the last 5 years! Even if you don’t read Russian, his blog is well worth a look for the pictures alone. A travel blog with character, illustrated with skillled, beautiful pictures. Note: have you blogged about us? Let us know and we will set up a link to your blog. Travel writer Jen Rose Smith writes about the 10 Best Foods to Try in Jordan in her article "Beyond Hommous", and includes Bedouin Directions as the place to try Zaarb. 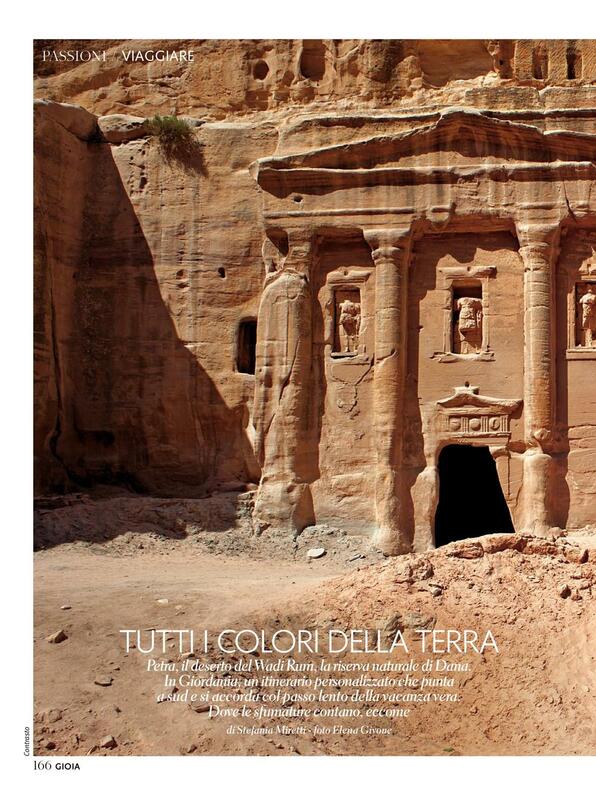 Stefania Miretti visited us to write an article about Wadi Rum for the Italian magazine Gioia . I was actually a guide for Stefania when she visited Wadi Rum in 2007 before I started Bedouin Directions. She knew me when I was a 'baby' and was taking tours, then cooking in the evening, the whole package! She came back in 2011 and did an interview, and an article on Wadi Rum. This magazine is an exciting new project that we have been lucky enough to have been featured in. Adam Woods is the editor and visited Wadi Rum in March 2013. His article is funny, and interesting and I would thoroughly recommend subscribing to this new magazine to see what they come up with next! You can read about Wadi Rum in issue 2 by following this link. Note: Are we in a magazine we don't know about? Let us know and we will set up a link to the magazine & article. "Gary McGovern is an award winning London born Designer and Photographer. He is a BA Hons graduate from the Kingston Art School and has spent the last fifteen years working for various branding and Advertising agencies in the UK, Europe and the Middle East." He took some really wonderful pictures of Wadi Rum on his visit with us that really stand out. You can enjoy more of his images here on his website. A long time ago, a young girl and her mother spent 4 months in Wadi Rum volunteering. I was privileged to get to know them both in this time, and to be able to call Bailey my Bedouin sister! She is now a talented, just about everything, but a photographer in particular. You can see her engaging images on her website. Dominic is a recent (2014) visitor to Wadi Rum. He stayed with us for several days & nights and his photographs of Wadi Rum are skilled and creative. His images taken at night stand out particularly. You can see more of his images on his facebook page (be sure to like!). Emma Leafe is an artist, designer and curator, based in London. Emma visited us AGES ago when Bedouin Directions was a baby business & she took some great pictures some of which I used on my first website. Now we are all grown up but we haven't forgotten Emma! She took some great pictures while she was here and you can see her images on her website. Elena visited us with Stefania Miretti to take the photographs for the GIOiA magazine article on Wadi Rum. The portraits she took while she was here, really capture something of us, and we continue to use her photographs on our website. You can see more of her beautiful and interesting images on her website. We do not often get the privilege of meeting people from Brazil, but when we do it is always a pleasure! Eerie, atmospheric, and dramatic could be used to describe Marcos's pictures of Wadi Rum. His night-time shots really capture the desert and night and are my particular favorites. Check him out on his facebook page.